Yisrael Harel, founder of the Yesha Council, formerly the editor of Nekuda and now a commentator in Haaretz, hopes that the New Right party will survive. "I still wish Bennett and Ayelet will pass. There are quite a few of us who are happy about Naftali Bennett's bad luck. Bennett really did a bad move in the way it was done because, in essence, it was positive, but the way it was done left a bitter taste. "But a person so talented who did a lot of things for religious Zionism and for security, education and many other things - it’s a shame that he should remain outside the political system. 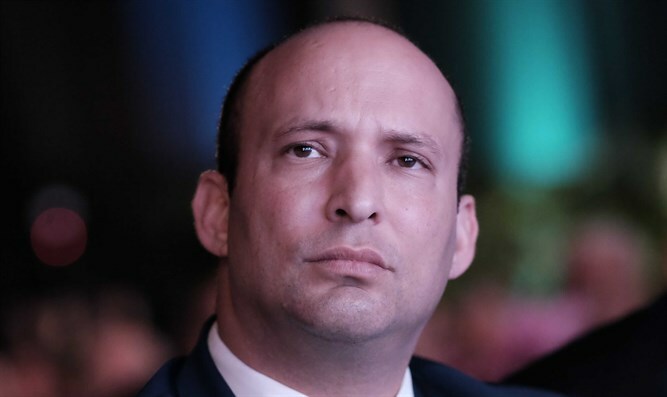 I do not speak of Ayelet, who has a place in Likud, but if Bennett leaves, I find it difficult to see how he would come back. Israeli politics is losing a very talented person." "Sometimes the interests of the rabbis and their institutions influenced, as it was at the time of the Uprooting from Gush Katif when the rabbis separated us, who opposed and fought, from the forces because they had to keep their budgets. They did not show national leadership but rather interested sectoral leadership, and most of the sector does not accept this. The rabbis should be the moral leaders and not the political leaders."